Voice over Internet Protocol (VoIP), is a technology that allows you to make voice phone calls using an Internet connection instead of a regular analog phone line. Most VoIP service providers allow you to call anyone who has a phone number - including local, long distance, cellular phones, and international phone numbers. Some VoIP services only work over your computer or a special VoIP phone (such as Skype), other VoIP services allow you to use a traditional phone connected to a VoIP network device (such as Vonage). VoIP services convert your voice into a digital signal that travels over the Internet. A high speed Internet connection is required for VoIP service. This can be through a broadband cable modem, high speed DSL or a local area network connected to the Internet. A computer, VoIP gateway, or VoIP enabled phone is required. 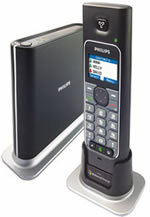 There are also other VoIP phones that do not require a computer and connect directly to a VoIP gateway device that is connected to your Internet broadband modem or router. VoIP phones that connect through a VoIP gateway have the same look, feel and operation as a traditional phone. 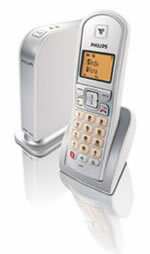 VoIP phones can be wireless as well. Some VoIP providers, such as Skype, offer their services for free for calls to other members of the same service. Some VoIP providers allow you to choose an area code and phone number different from the area in which you live, allowing you to get a Hollywood California phone number even if you live in Florida. It would be treated as a Hollywood phone number and would be a local call to residents in Hollywood yet long distance to residents of Florida (although it is actually being received in Florida). Some VoIP providers offer free calling worldwide within their VoIP member network using their VoIP service or software. Some providers offer free long distance calls to any phone within the US and charge additional fees to call International phone numbers. Other VoIP providers allow you to call any phone anywhere in the world at a flat rate for a fixed number of minutes. There are VoIP providers that charge a flat monthly fee for unlimited calling and others that charge a flat per-minute charge, depending on where you are calling. Either way, VoIP is much lower in cost than traditional phone company calling fees. Many people choose to use VoIP phone services for only long distance or international calling where the savings are the most. Some VoIP service providers offer services that can be used wherever a high speed Internet connection is available, so you can make a VoIP call from a laptop anywhere in the world, which can be very convenient to travelers. If you're considering replacing your traditional telephone service with VoIP then we can assist you. There are many VoIP services options to choose from and we can help you decide on a solution that is best for you. We travel all over the greater DFW Metroplex implementing business voIP solutions and services. If you have any questions about our VoIP solutions for your home or office please Contact Us or call at: (214) 685-0886. We offer VoIP solutions, business VoIP, VoIP service, VoIP services, VoIP, VoIP phone, vonage VoIP, VoIP provider, VoIP phone system, low rate VoIP, free VoIP, VoIP gateway, cisco VoIP, discount VoIP , VoIP phone service, VoIP service provider, VoIP router, VoIP equipment, VoIP softswitch, VoIP information, hosted VoIP, free VoIP call, small business VoIP, VoIP security and VoIP carrier selection. We also help with VoIP switching, home VoIP, VoIP calls, internet VoIP, VoIP pbx, VoIP systems, VoIP termination, VoIP software, VoIP vendors, VoIP devices, dallas phone VoIP, VoIP hardware, skype VoIP, VoIP ip telephony, VoIP servers, dallas VoIP, VoIP company, VoIP Texas, VoIP satellite, residential VoIP, VoIP architecture, VoIP telephony, VoIP headsets, VoIP phone adapters, voice over ip VoIP, voice over ip, linksys VoIP, VoIP applications, VoIP technology, VoIP switches, skype VoIP phone, VoIP phone systems and broadband VoIP phone service.